This user possesses the power of Geass. Venture This user is in Venture of the Wiki! This user won one time on User Brawl. This user loves Shy Guys! This user's favorite color Yoshi is White Yoshi. This user likes all types of Shy Guys. This user is friends with YellowYoshi127. This user is a friend's with M64fan(Mario64fanatic). 40px This user is great friends with Cmario17. This user is friends with PT PRANA!. 45px This User is friends with Dimenshi Knight! 40px This user is friends with MATEOELBACAN. This user is friends with Bop1996, and wishes he would stop correcting me when I make some grammar mistake. 50px All your base are belong to this user. This user thinks Mario should dance like the king of pop. 70px This user's favorite Nintendo character is Rosalina. 50px This player thinks Rosalina is extrordinarily pretty. This user thinks Rosalina should be in the rest of the future Mario games. This user is a big fan of the Nintendo/Square character ♥♪!? (Geno), and was unhappy with Sakurai's discision to leave him out of Brawl. This user thinks that there is a connection between Rosalina and Geno. ...but he is also partially in Bowser's side! This user hates it when people cuss. This user plays retro games. 65px This user Thinks Pichu is cute. prog-1 This user can some what do some programming. This user thinks that the Super Smash Bros. series is the best videogame series ever established. This user likes all the stages that appeared in SSB, SSBM, and SSBB. This user has beaten the Rougeport Pit of 100 Trials. 55px This user likes the Star Fox Series. File:Wii small.jpg This user named his Wii console KOOPS. This user likes all the characters in theSuper Smash Bros. series. This user also likes the Thwomps alternate look. 50px This user is a proffesional Amazee Dayzee hunter. This user can also hunt Dark Dayzees proffesionally. 125px This user is a big fan of the babies and does not know why they are so underrated. 40px This user plays the Animal Crossing series. This user thinks Waluigi should appear in more games than just sports games. File:Brain small.png This user's Brain Age is 20! File:YI Userbox.PNG This user enjoys the Yoshi's Island videogame series. This user doesn't like and don't know why people criticize the Wii Wheel so much. This user likes the Halo series. This user plays the Mario Kart series. This user is a fan of Nintendo hardware and software. 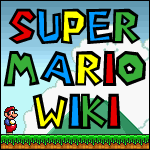 This is the user's very first account on a wiki!!! User This user won ### time(s) on User Brawl. User This user was on User Brawl.